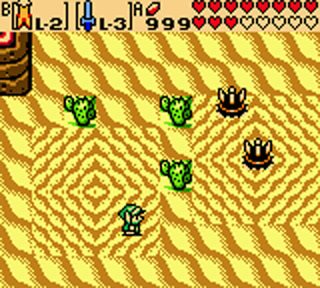 The Zelda franchise has always impressed its fan-base with a large array of unique and fun secondary items. Link has been blessed with the powerful Goron Bracelet, the clever Bombchus and various boots and tunics. The trend set by these items has continued through most of the games, where Link can clad himself up to the eyebrows with powerful vestments and jewelery to better his chances at defeating Ganon and scoring with saving Princess Zelda. However, there is one collection of items that has only seen the light of day in two games thus far, the Magic Rings from the Oracles series. The concept of the Magic Rings was an amazing addition to the Zelda series. These rings contained a wide variety of magic powers that Link could harness when he wore them, whether it was the ability to recover hearts over time or take no damage form bomb blasts. However, following their introduction in the Oracle of Ages and Oracle of Seasons games, these rings have not resurfaced in a Zelda game to date. Why is this? Sure there were some flaws, such as Link only being able to wear one ring at a time, but they gave the player additional powers to wield as they moved through the game while providing the fun of discovering, collecting and appraising the rings as an additional side quest. Were these perks not enough to warrant a return in future titles, or are Nintendo just too busy working on graphics and game play to be bothered with adding more lovable side quests and collectibles? The rings where often found in treasure chests in the overworld or inside Gasha Nuts that fell from Gasha Trees. These trees could be planted by the player themselves, thus providing yet another side quest. Unfortunately, a ring was unusable after it was found. They were often discovered as blank rings, which were useless to Link. However, these blank rings could be appraised at the local Ring Shop in either Labrynna or Holodrum. The shop owner would reveal the ring’s true powers, making them available for Link to use when he sported the ring. The abilities of the rings were perfect for the Zelda series, ranging from increased sword power or decreased damage to greater rupee drops or transforming Link into a Moblin. The list goes on, and the 64 different rings provided more than enough variety, with very few having repetitive powers, such as the Armor Ring Levels 1, 2, and 3. Even some of the negative effect rings can be fun to play with, such as the Cursed Ring, which lowers your sword damage and increases the damage you take, as they provide more of a challenge for a masterful player. 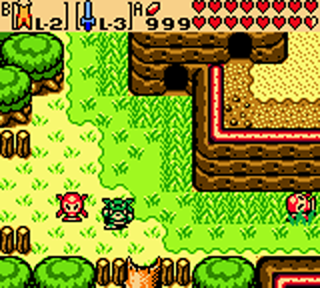 The fun of collecting all the rings and trying out their unique powers against Veran, Onox and Ganon was endless, and in no way inhibited the storyline or continuity of the Oracles games. With Zelda Wii closing in, one can’t help but think of what Nintendo are going to add to the new title. Imagine what Rings could do for the series nowadays. With the demand for more intriguing side quests, tougher gameplay and more unique abilities, Rings are the answer. The quest to find and collect rings would add a great amount of exploration and puzzle solving to the game, which will keep the players interest in the game fresh as they travel from dungeon to dungeon. Rings similar to the Moblin Ring could add a great new aspect to the game; stealth and intrusion. While disguised as a Moblin, Link could infiltrate an enemy hideout in order to learn more about the next dungeon or perhaps acquire an item hidden within the hideout. The possibilities are endless for Rings, and can vastly expand Zelda gameplay as we know it. Nintendo has always been great at spicing up its games with little items and side quests, and Rings are no exception. These rings were a small yet effective addition to the franchise, and the fact that they did not return is quite disappointing. This is yet another example of Nintendo letting a great idea slip through their fingers as they focus on more important issues such as graphics or controls. Zelda is unique in its range of collectables and side quests, and the Magic Rings provided yet another fun task for the player to attempt in-between dungeons. However, it appears Link’s bling has been replaced with mindless hunts for Golden bugs and Poe spirits, neither of which bestow upon Link awesome magic powers. Rest in peace, Magic Rings.